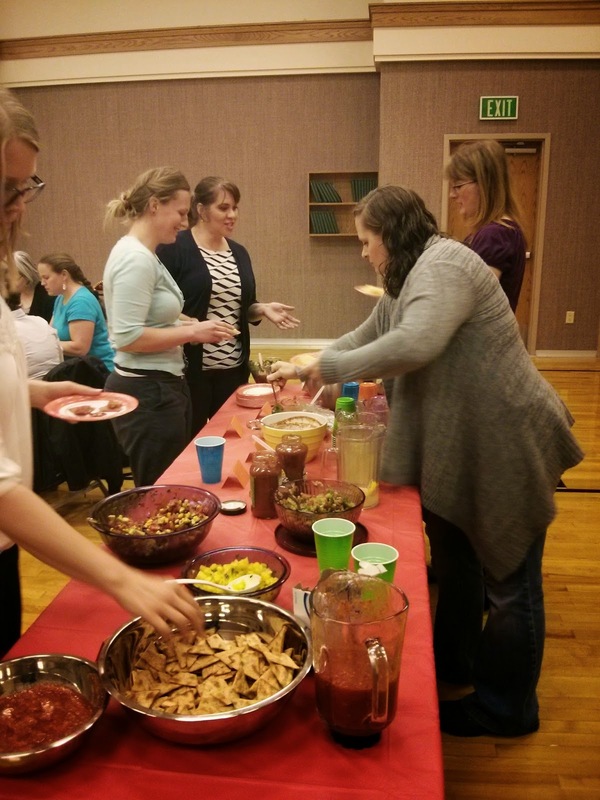 For our Relief Society activity this month we had a Salsa Night! It was so much fun. 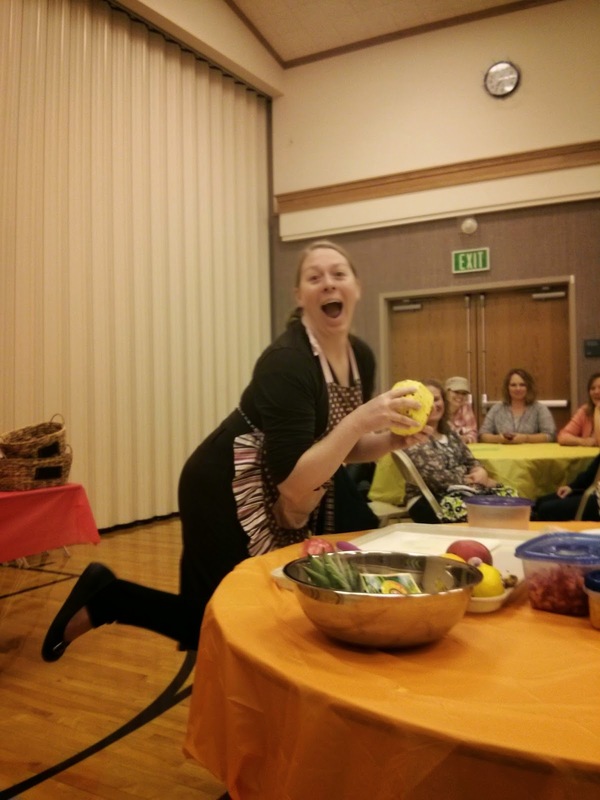 I asked around our ward and found several sisters who make homemade salsa. We gathered their recipes, asked a few of them to do a live demo, got the rest to bring a bowl to share at our tasting table, and then ended the night sampling everyone's salsa. 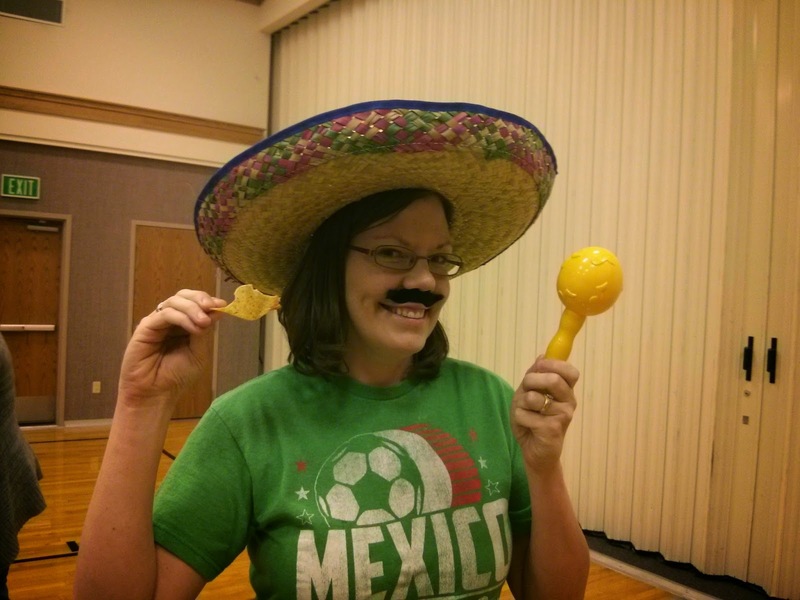 I was completely surprised when my first demonstrator pulled a sombrero, maracas, and fuzzy mustache out of her bag, to "help us get in the mood", and then proceeded to do her entire demonstration in costume. 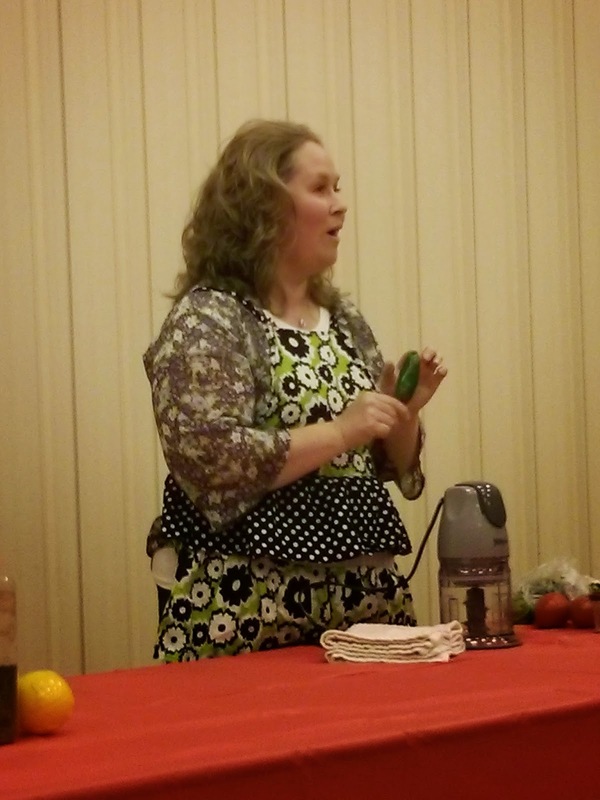 She showed us how to make a salsa using your blender and mostly canned foods, like you would have on the shelf or in your food storage.It was beyond priceless! Our next demonstrator showed us how to properly cut a jalapeno pepper, and made some awesome pico de gallo. Plus, I now want one of her electric food choppers. It was so efficient! The salsas were SO yummy. It was such a fun night with the Ladies! We also had a few plant starters; jalapeno pepper plants, tomato plants, and cilantro that we gave away throughout the night in a drawing, encouraging them to start their garden/container garden. We thought it was only fitting to hand out salsa ingredients.